Many people these days are looking into new and different design ideas for their bathrooms, and a lot of these will include electrical items being installed. A Jacuzzi, electric towel rail or entertainment system can help create a luxurious and modern bathroom within your home. Whatever the addition, improvement or repair to your bathroom, PGS Electricians can offer a professional service from start to finish. It can cause problems where there are not enough electrical outlets in the bathroom to make the desired changes. This can particularly be an issue in older homes or those with smaller bathrooms, due to safety constraints. We offer a complete service where we can advise and install suitably placed sockets, which comply with safety regulations and work to the greatest convenience. Once you have the outlet sockets, you have the means to a whole range of new products for your bathroom. 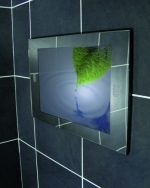 For example, entertainment systems are becoming increasingly popular in bathrooms, these range from waterproof televisions to radios, MP3 mirrors and speakers all being built into the walls. Although it might seem like an easier or cheaper option to just use your ordinary TV or speakers, the items you use must be designed for bathroom use, otherwise you run the risk of putting yourself and others in danger, as well as breaking your equipment. A waterproof TV is not only designed to withstand getting wet, but to resist the high levels of steam that could get into the system of a regular machine and break it. Each electrical appliance will have an Ingress Protection number, telling you what range of mechanical protection and moisture protection it has. Our registered engineers will be able to help you make an informed decision on the best technology for your bathroom. 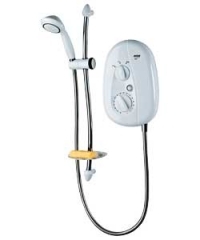 The number of houses with electric showers is also increasing, due largely to their practicality. They work on a separate system to the heating in the house, so can provide hot water instantly and whenever it is needed. They are also popular in houses that have a low water pressure, as they have their own built in pump. If you are looking to install a new shower but an electric one is not for you, PGS Services also offer a complete plumbing service, and would be able to provide advice and install an alternative option. There are also more modest additions to a bathroom that our electricians can install for you. Practical things like heated steam resistant mirrors and towel rails can both be aesthetically pleasing and practical, and larger bathrooms may need lighting installed in a separate vanity area, or around a mirror.